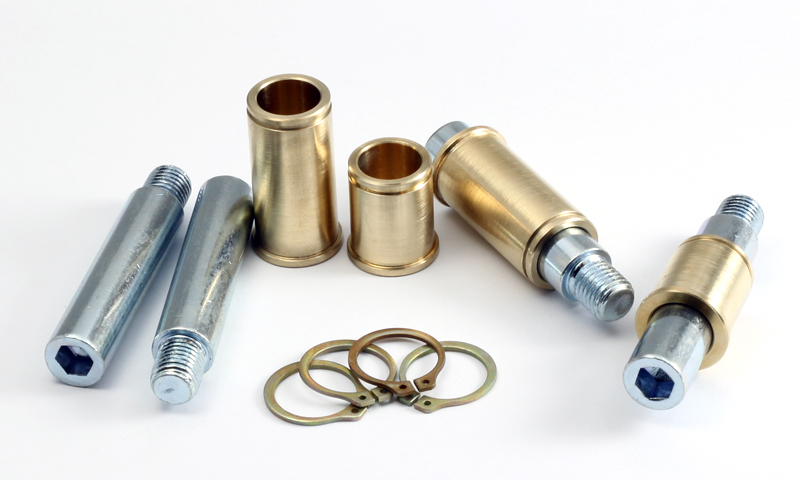 Bronze Caliper Bushing kit, for use with OEM calipers. These brake caliper bushings will eliminate caliper twisting caused by the OEM rubber guide bushings. By allowing your calipers to slide freely on the guide pins, these bushings will allow your calipers to squeeze evenly on both sides of the brake rotor. This will result in increased pad life by allowing, the inside and outside pads to wear straight and even, along with a more consistent pedal feel. This kit will pay for itself in no time, by saving you from replacing unevenly worn brake pads. Will fit all A1 VW's that use the ATE MKII calipers.